Most media outlets paint short sellers as the bad guys of the financial market. In most cases, they are presented as villains who are there only to drive down the prices of the good guys. But as you already know, when it comes to modern media, you have to take everything with a grain of salt. In reality, most short sellers are to point out over-valued organizations on the financial market and restore more accurate prices. Furthermore, short sellers provide liquidity to the market. In recent years, regulations that banned short selling have shown to have a negative effect on markets. 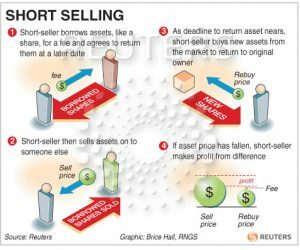 What exactly is Short Selling? Essentially, short selling refers to the act of selling something that isn’t yours. Now, most people have a hard time understanding how’s this even allowed. Short sellers sell stocks only if they believe the price of the stock in question will decline in the near future. Basically, they will sell a stock at a high price, with hopes of buying it when the price goes down. But before they can even sell you the stock, they have to borrow it from someone who actually owns it. Sellers always pay a fee to the company that borrows them the stock. Moreover, if the price goes up after the seller sells it, they are required to pay a margin to cover the possible financial loss. As you can see, short selling is far riskier than simply buying stocks, due to the fact that potential losses are practically limitless. You’ll want to make sure you have a good stock selection process. You can always use automated tools like TradeSpoon to help you out. What Can You Learn from Short Sellers? In most parts of the world, short selling is fairly common. In the United States equity market, for example, short selling amounts to roughly 45% of the dollar value traded. In other parts of the short selling is significantly lower. In Australia, for instance, it accounts for only 13% of the dollar value traded. If a certain market has high levels of short selling, you can see that the stocks in that particular market are typically overvalued. Recent research has shown that short sellers are almost exclusively well-informed stock investors. Lightly shorted stocks exceed heavily shorted ones by around 15% per year. Furthermore, research suggests that an average short seller is very skilled at finding overvalued stocks in any particular market. On average, they are able to make a good profit from taking a short position in these stocks. But the question now is – do you have any clear benefits from short sellers? Do They Provide Any Benefits? It turns out that short selling also provides additional liquidity to the financial market. According to the recent research from the Columbia Business School, in the United States, short sellers step into the US market to give it more liquidity when the cost of liquidity is too high. And this is not an isolated incident. The same goes for the financial market in Australia. The country’s fund merger conducted a study, which revealed that short sellers are also noticeable liquidity providers in their market. In Australia, the ban on short selling resulted in visible liquidity reductions. 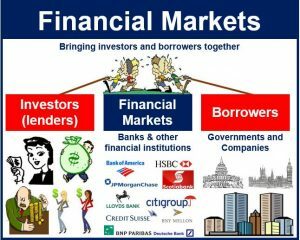 Can’t They Manipulate the Financial Market? This brings us to our final question of the day – can’t short sellers actually manipulate any financial market? Some companies and investors have raised concerns about short sellers artificially bringing stock prices down in order to make a larger profit. On the other hand, these companies are not so concerned about the prices of stocks being manipulated by people with a long position in a stock. The matter of the fact is, there are some crooked short sellers out there, but it doesn’t mean you can’t find crooked long sellers either. In the end, the authorities need to make an effort to detect and consequently prosecute manipulative traders, regardless if the manipulator is pushing the price down or up or regardless of the fact if the manipulator is a short or a long seller.